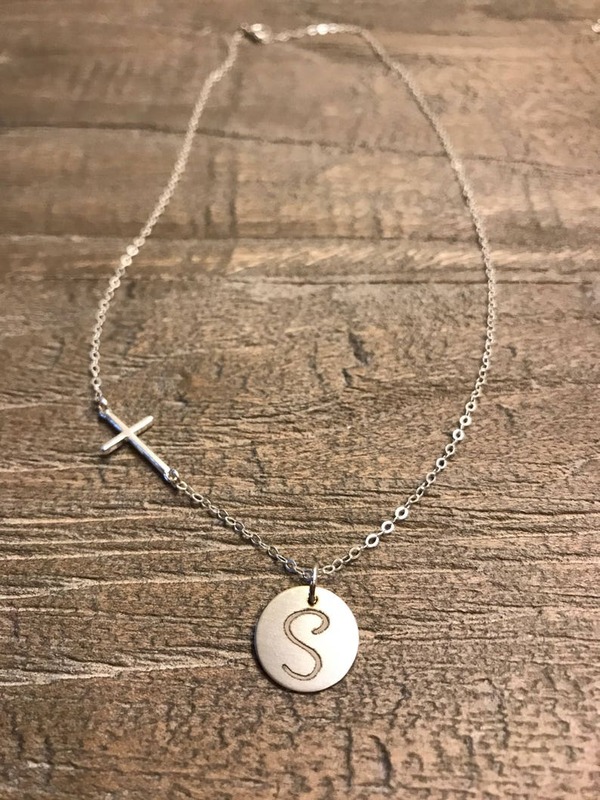 A sterling silver sideways cross necklace features a sterling silver disc pendant with a single engraved initial on a sterling silver cable chain. Choose from script or block font. 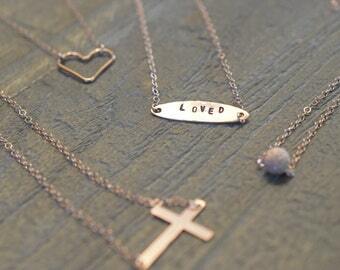 This is a great everyday necklace or as a layering piece with other jewelry. 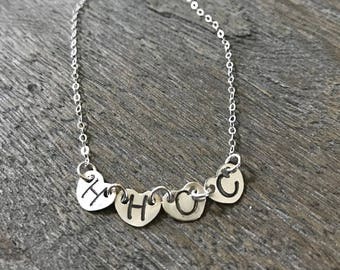 This is a thoughtful gift for your mother, your daughter, your best friend, your sister, or even for yourself. ✦Enter Hartsock Designs Jewelry here: hhartsockdesigns. ✦✦All my pieces are carefully handmade using the highest quality sterling & fine silver or gold filled components; NEVER plated!